Temporary Housing For Young People, By Young People Homeless young people can often be targets of theft and assault by homeless adults. Two 23-year-olds in Boston founded a new shelter to assure their peers are safe, warm, welcomed and supported. It looks like an upscale youth hostel. There's bright wood paneling. Surfaces painted lime green. 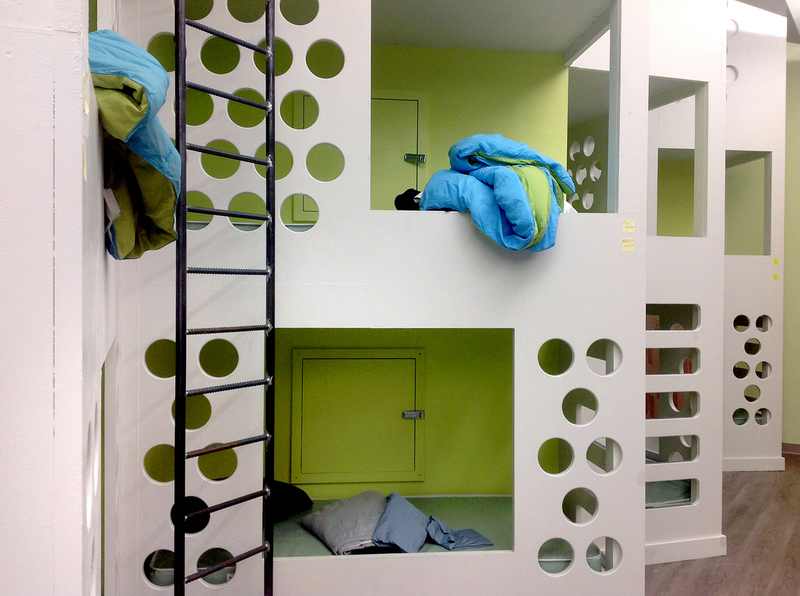 Twenty-two beds decorate the far wall like an elaborate tree house. This is the new location of Y2Y — a shelter for young adults only. And now, it's almost ready for business. One thing that makes Y2Y special is the staff — every one of them is a young adult, a lot of them Harvard University students and almost all of them volunteers, such as Needham Hurst and Ian Meyer, who are staffing the lottery line the morning before the shelter opens. All seven of the people who enter the lottery get beds. They're just a handful of the hundreds of young adults in Boston who are homeless. It's a need that Sarah Rosenkrantz and Sam Greenberg — the 23-year-old Y2Y co-founders and co-directors — are intent on addressing. "Just telling our peers that we don't believe they should be homeless, and we want to work together to fix this issue," Rosenkrantz says. "We have student case managers, we have volunteers who participate in legislative and public advocacy, we'll have workshops — things like financial literacy, storytelling, poetry, like public speaking," Greenberg says. 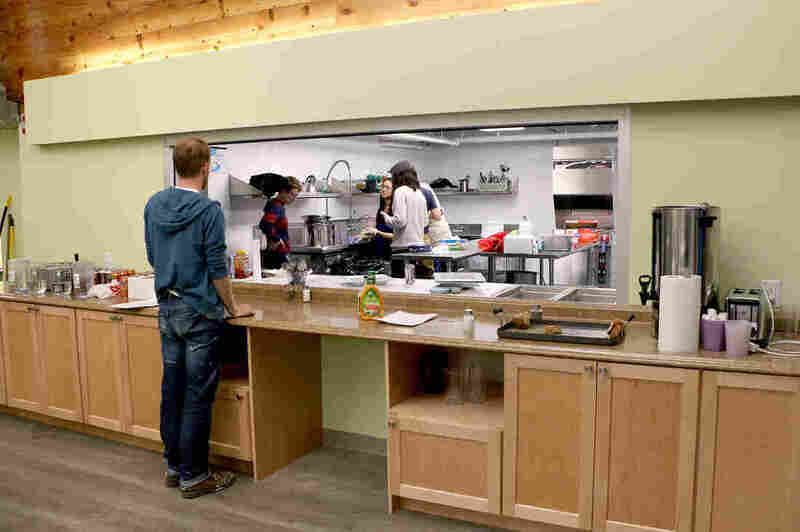 The other thing that's special about Y2Y is that at every turn, young adults who are or have been homeless have advised the shelter's planning, as part of a youth advisory board. Ayala Livny consults on programs related to homelessness. "I think that it'd be negligent to try and create a shelter for young adults without getting the actual input of young adults who are going to be staying at the shelter," says Livny. "We've come up with pretty much all aspects around Y2Y between policies, furniture, regulations," Giampa says. One of those policies is length of stay, which is up to 30 days. There's also a drug and alcohol policy. And rules for whether you can have a pet. And it was this board that replaced a list of rules with a list of responsibilities, to allow young people to feel ownership over the space. But now, everyone's focused on the opening, just moments away. There are last-minute signs to post, and vegetables to chop for dinner. Finally the doors open. Twelve young people end up spending the night.